We Found Paradise (with CLUSE)! Have you ever seen water so turquoise and clear? A coastline more untouched and beautiful? Neither. After years of promising we’d drive down to this picturesque yet remote Western Australian town, Brad and I finally made good on our pledge and found ourselves an eight-hour road trip from Perth (aka. home) to Esperance. We began our journey at 3:30AM, when we made our way through the quaint towns of the Wheatbelt and Goldfields regions, only to be greeted by one of the most beautifully untouched and raw part of my home state I’d ever seen. We’d made it and I felt instantly revived (as I almost always do when I’m by the ocean). 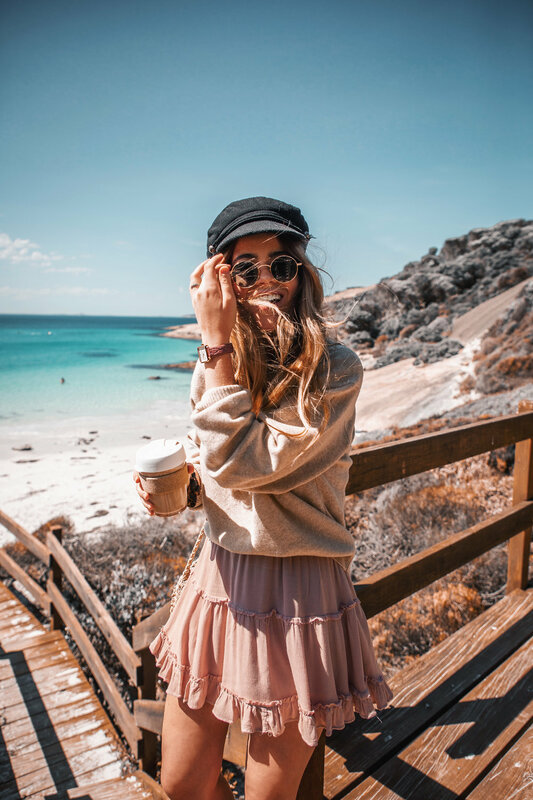 We made our way through the winding Great Ocean Drive, but not before grabbing a coffee-to-go from Down Town, to explore the pristine Esperance coastline. I don’t know whether it was the bright turquoise water, the crashing swell, the reefs or the remoteness that made me feel so at home, but whatever it was I felt like I was in heaven. Rocking my Dora the Explorer outfit, CLUSE watch included, we discovered protected bays with water so crystal clear that we just had to take off our shoes and let our feet sink into the cool shallows. Truth be told, I don’t know why I was wearing my CLUSE watch ‘cause heavens knows I was in no need to keep time here (unless it was to make sure we didn’t miss the stunning sunsets), but the new La Tétragone watch really is a chic piece with its soft berry alligator textured strap. Over the coming days, we’d lap up every inch of sunshine we were so very blessed with by enjoying the natural beauty around us; from swimming within the protected bays and reefs to hanging out with kangaroos (yep, this really did happen!). My goodness, I cannot wait for the time we get to go down to Esperance again, the sooner the better! 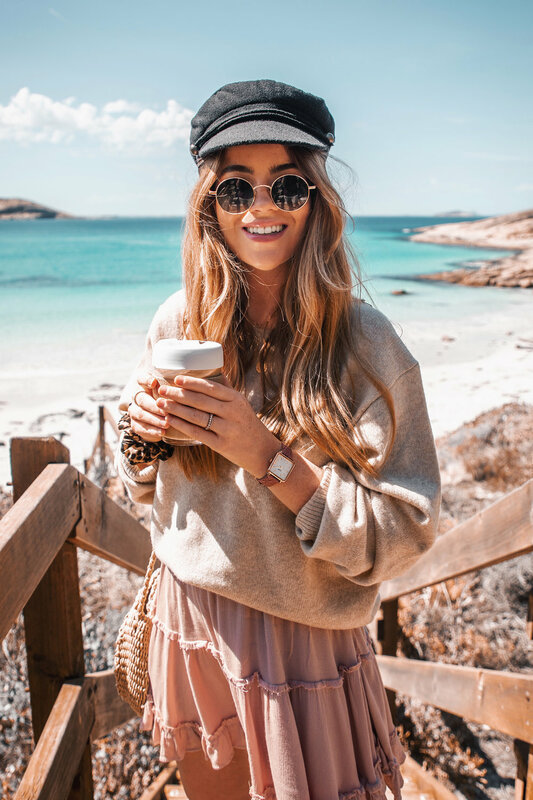 CLUSE La Tétragone watch in Rose Gold/Soft Berry, UNIQLO jumper, Showpo skirt, ASOS baker boy cap, Bailey Nelson sunglasses and Wittner boots (old).